Which means that whenever Mr B2 and I go to visit him we have a bit of a gear frenzy with comparisons, show and tell sessions and the ubiquitous walk in the Todmorden rain (it really is small wonder it floods there I am surprised they don’t all have webbed feet). 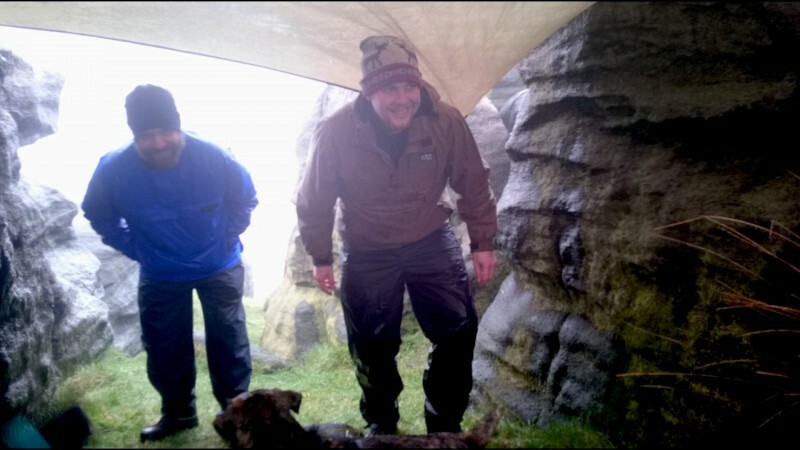 For Six-Foot-Blonde, no walk is complete without a bit of kit usage, which is great because with him, kit usage invariably involves a tarp shelter and a cup of rather good coffee (or in my case peppermint tea). and have some rather yummy hot drinks. PS My favourite bit of Six-Foot’s recent gear was a clever device that will convert your stove to a different type of gas canister – useful if the shops near you are hopeless at gas! PPS Most of my family are quite good at gas! 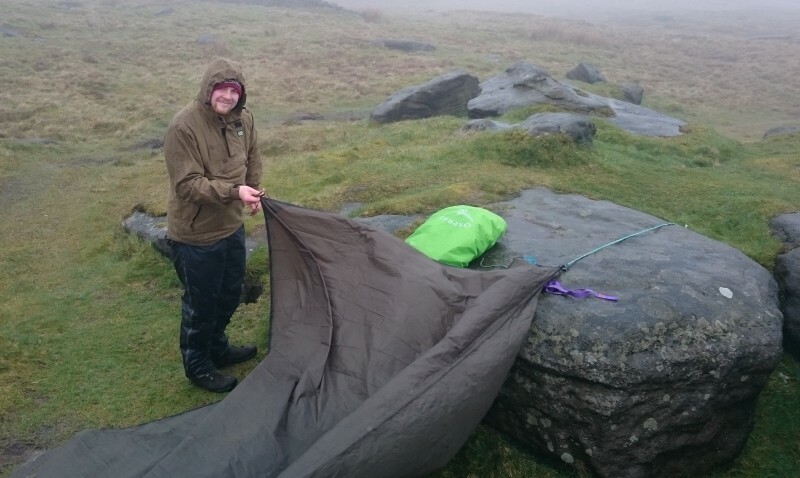 That was not the best day to visit The Bridestones [known as Kebs locally] you needed that tarp. It’s grim up north. 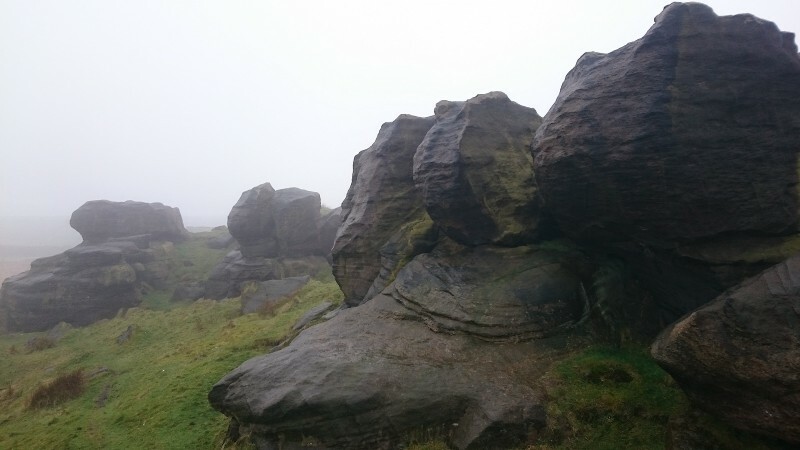 We often went bouldering up there on Summer’s evenings – on a par with Dartmoor tors from a climbing point of view. Out of interest what was that stove? 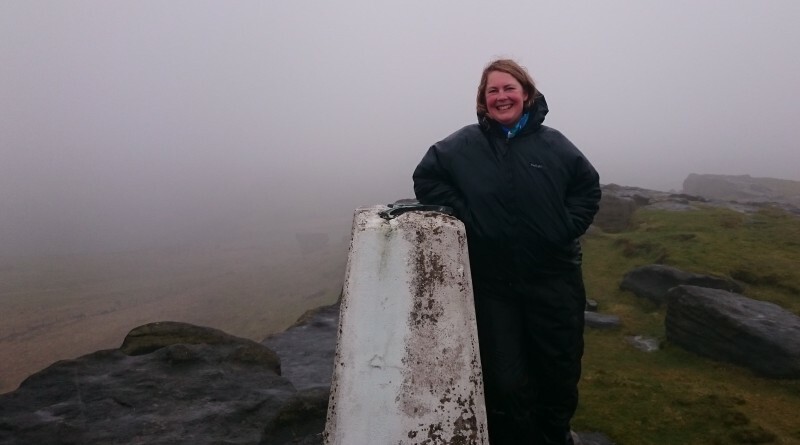 Did you get up to see ‘The singing ringing tree’? Six-Foot visited again the next day and they had sunshine! Now I have seen a picture of the Singing Ringing Tree I wish I had seen it. A destination for sure next time we are in Up-North. I am not sure about the stove but the converter was clever, I will consult Six-Foot. 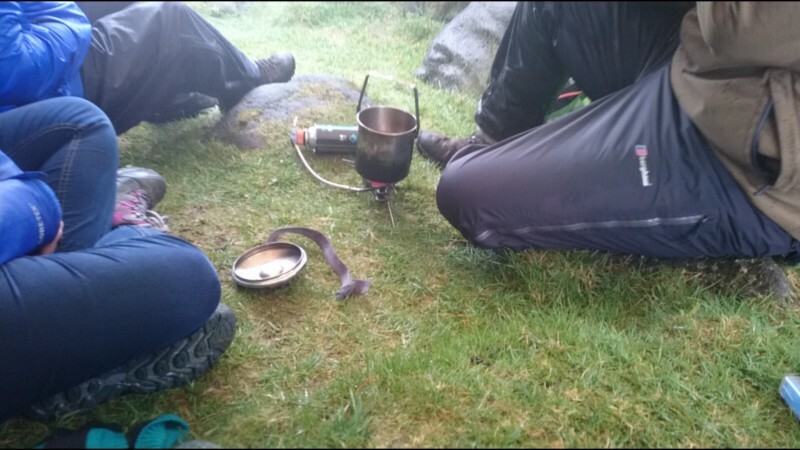 Mr Bowland Climber I have consulted the stove gear oracle and he reports that the stove that he was using in the picture was the MSR whisperlite universal. He has also promised to take me to the Singing Ringing Tree next time I visit!